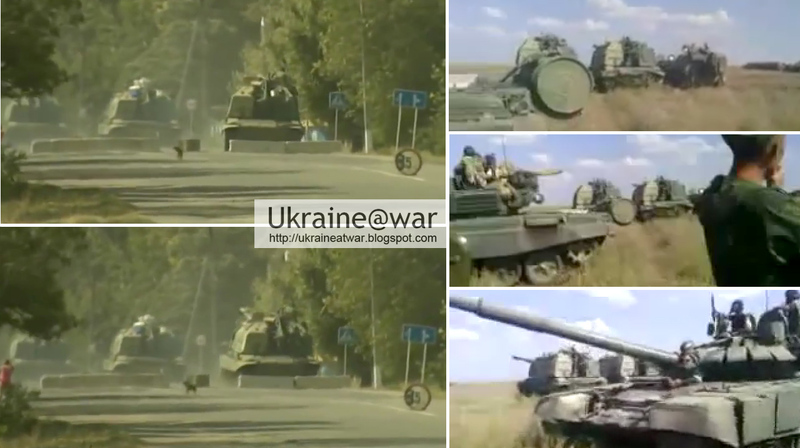 It had been removed from internet, but I kept a copy of course... :D.
But since these Golovinka photos have been uploaded on Oct 26th, the tanks have very likely been flown in LATER than August 24th. They may very well have been the replacement of the invasion-force. Nevertheless, we are able to connect The Golovinka-base with the invasion. 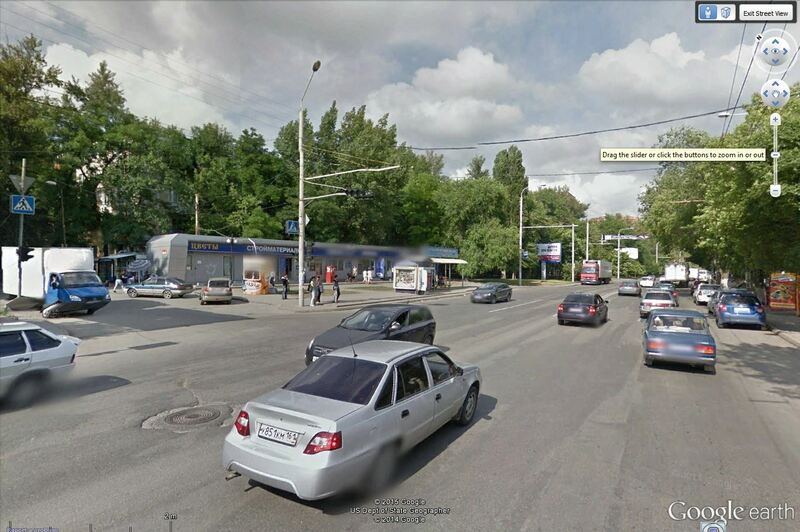 In this article ursus-globalis has correctly proven that these are the same MSTAs. Now lets go back to the 'invasion-force' video. At 00:29 the cameraman walks to the back of the tank and VERY briefly films two MSTAs on the back. At 00:52 he films them again and at 1:40 we can see them a little bit from the sides. In the Aljazeera-video the MSTAs are also filmed on the back at 00:19. Most important feature of the MSTAs in both videos is that the left side is lighter than the dark side. In other words: they have the same (distinguished) camouflage pattern. At the back on the side they also have the lighter color. And when Googling for MSTA we see a enormous variety of patterns. Which means this typical set (with a light left back side) was unique for the occasion. 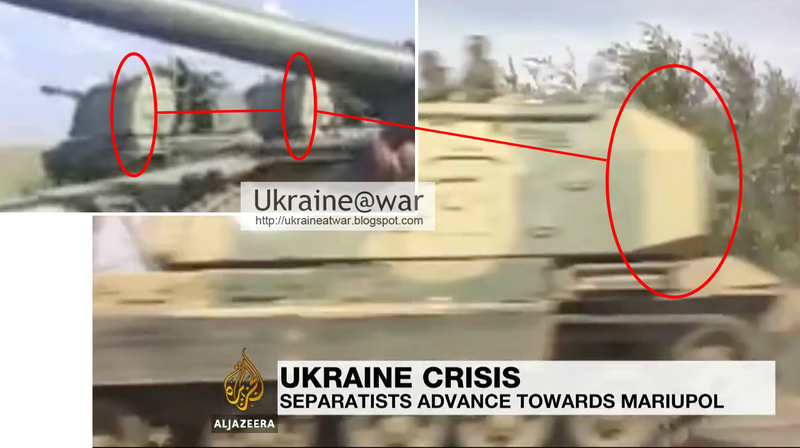 The Aljazeera-reporter also mentions that they had seen "11 tanks, 2 APCs, 1 MLRS and several artillery pieces". In the video four MSTAs can be seen. The now removed invasion-force video with 100+ vehicles, which was published at that time seems to be authentic! Very likely it was filmed at the Golovinka base when the whole bunch was still together waiting for the final order to start moving towards the border. They might have split up in batches of course. Some had to go here, some had to go there. 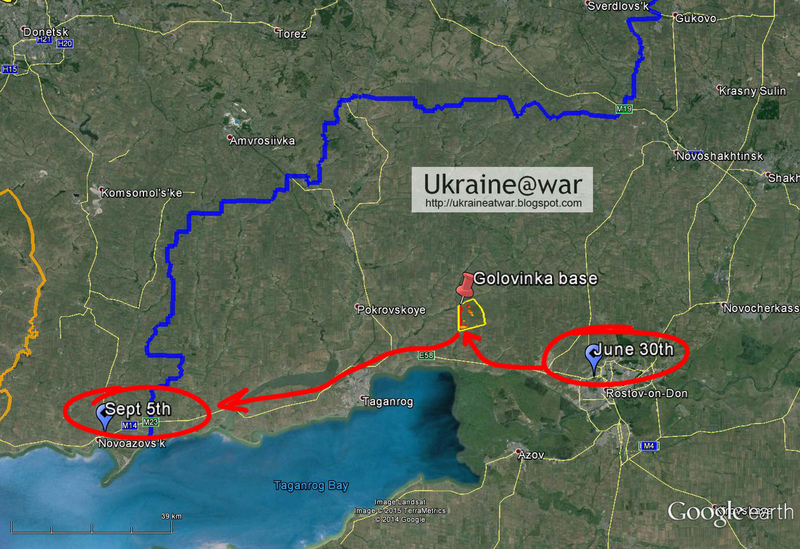 Golovinka is just the stepping stone towards the Russian camps closer to the border. 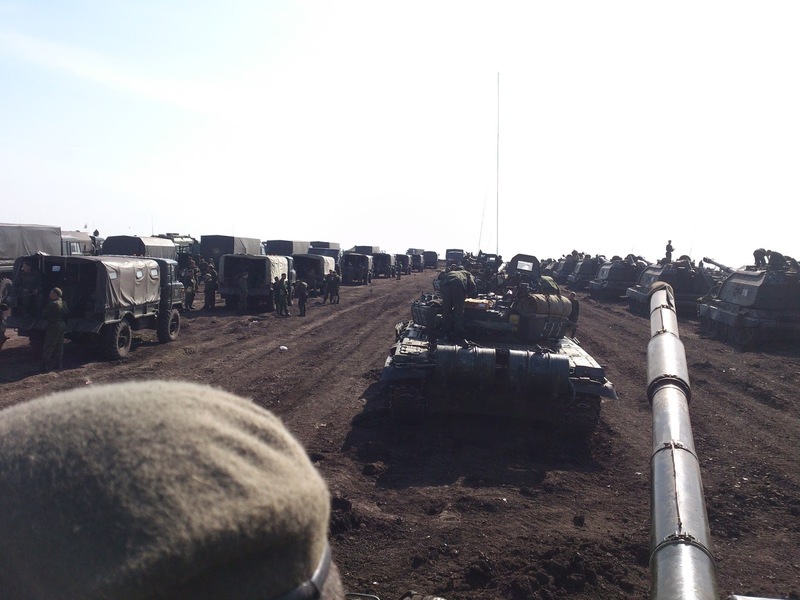 At some point some units ended up in Novoazovsk and where filmed by Aljazeera. 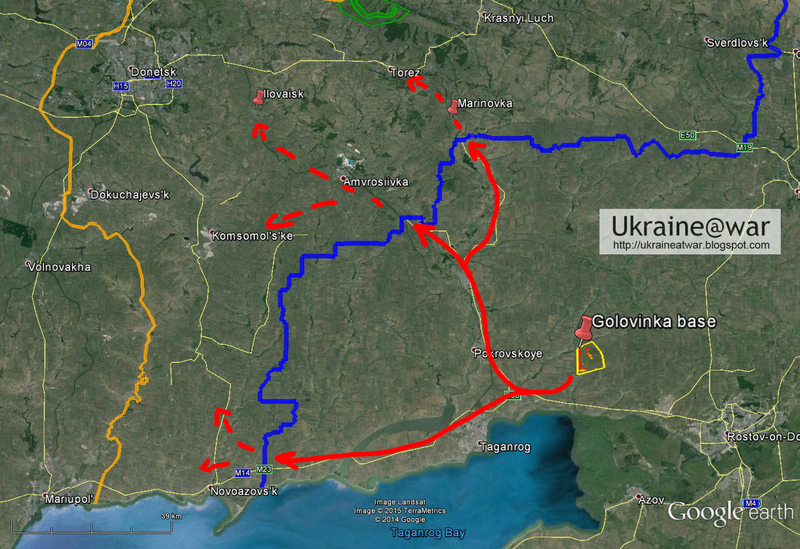 Other had gone to Ilovaisk to defeat the volunteer battalions there.